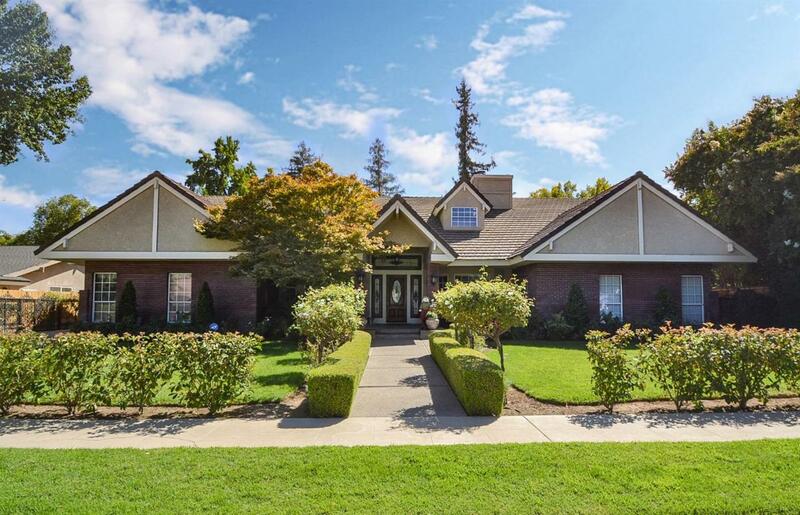 Beautiful 5 bedroom, 5.5 bath home off of Van Ness & Barstow. You are welcomed home by lush landscaping paving your way to a stunning stained-glass door, a true focal point of the entrance. Charming and full of character, this open living space boasts a large living room with floor to ceiling stone fireplace, family room, sitting room, and formal dining space that are all visible from the large chef's kitchen. The kitchen features a built-in Sub Zero fridge, Jen Air double oven and Thermidor stove, with amble storage space. 4 spacious bedrooms each with their own private bathrooms on the lower level; bonus room with private bathroom & loft, with abundant storage space on the upper level. This custom home offers unparalleled craftsmanship, exceptional amenities, and is a MUST SEE! Tax records show different bed & bath count; buyer to verify.